Fifield Point Guest House is a bright and clean home with ocean frontage on Burnt Cove in Stonington. Enjoy easy access to the cove from the dock, which makes launching your kayaks quick and easy. 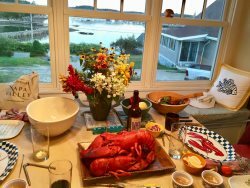 The cottage has a convenient location, just a couple miles from Stonington village and less than a mile from Stonington’s Sand Beach. Fifield Point Guest House has two bedrooms and one and half bathrooms. The layout is lovely and open with hardwood flooring throughout and cathedral ceilings in the main area of the cottage. A wall of ocean-facing windows provide an abundance of natural light. The home has a well-equipped kitchen with a coffee maker, toaster, dishwasher and service for six. First floor living options include a cozy sitting area overlooking the cove and a small screened-in porch with a bistro style table. The two bedrooms are also on the main floor. The first bedroom has a king bed, a dresser and a large closet. The second bedroom has two twin beds as well as a spacious closet. There is a full bathroom with a shower/tub combo and a stackable washer and dryer. The second floor of Fifield Point Guest House contains a media room with a TV, comfortable furnishings and views of the cove, and a half bathroom. 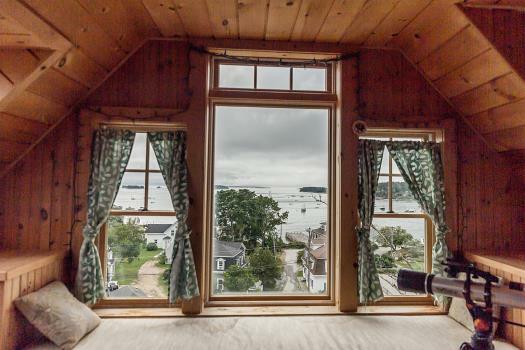 Fifield Point Guest Cottage is an attractive rental option in a desirable section of Stonington. 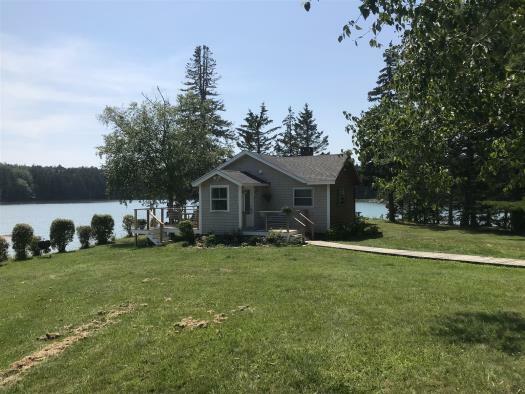 If you are looking for a scenic getaway in a relaxing setting, then Fifield Point Guest House may be the perfect place for you. Ask us for more information today. 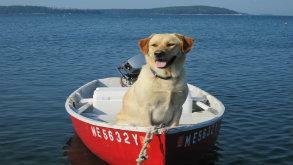 Please inquire about bringing your family pet. 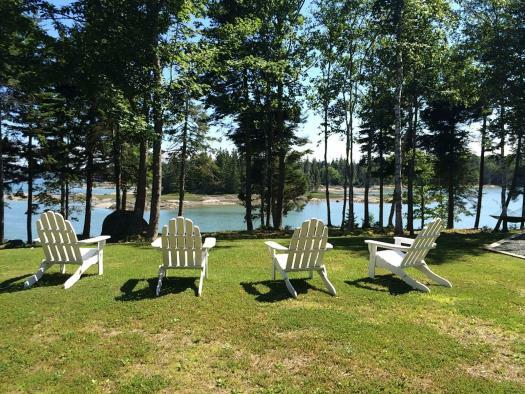 Wonderful home in a stunning area of the Maine coast. 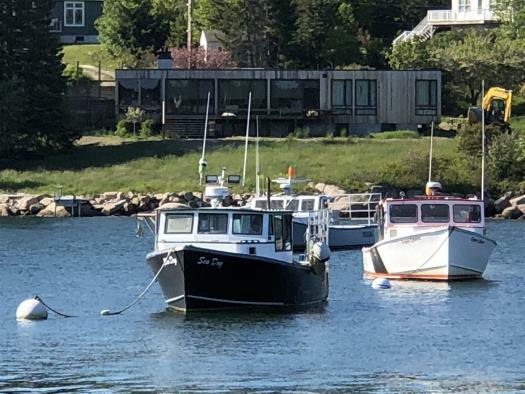 While not in the downtown area of Stonington, Fifield Point Guest Cottage is just a few minutes drive from the grocery store, a few shops, restaurants and a small beach so still very convenient. Plenty of room for kids and pets to play with a large front yard and dock access. 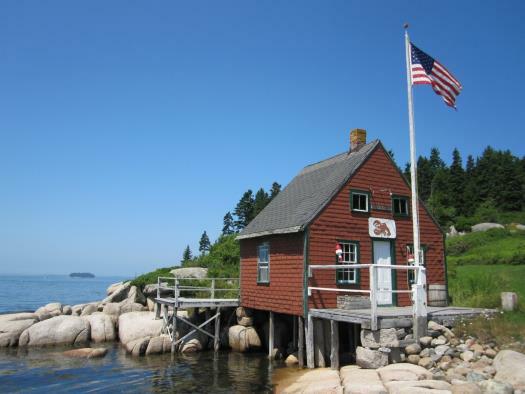 Stonington itself is well situated for day trips to many of the other surrounding towns including Bar Harbor and Acadia National Park. While the home does provide internet access and cable TV, we found cell phone service to be spotty if that's an important consideration. All-in-all, perfect for small families and highly recommended for anyone looking to get away and relax for a while.